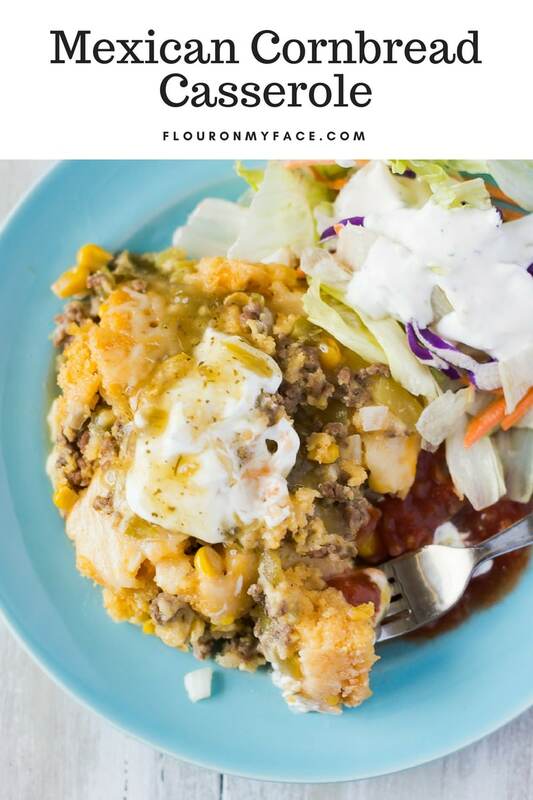 This Crock Pot Mexican Cornbread Casserole recipe is the 200th crock pot recipes I have shared. Let’s celebrate together with a Mexican fiesta! Mexican casseroles are delicious. Mexican food happens to be my favorite food. 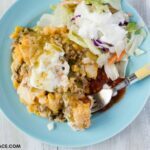 This casserole is made with ground beef, shredded cheese, green chilies sandwiched in between two layers of real cornbread. Boxed cornbread mix is good in a pinch but if you want the authentic flavors of a Mexican cornbread you’ll need to start with real cornmeal. Brown the ground beef, onion, and garlic until the meat is cooked through. Drain well and set aside. 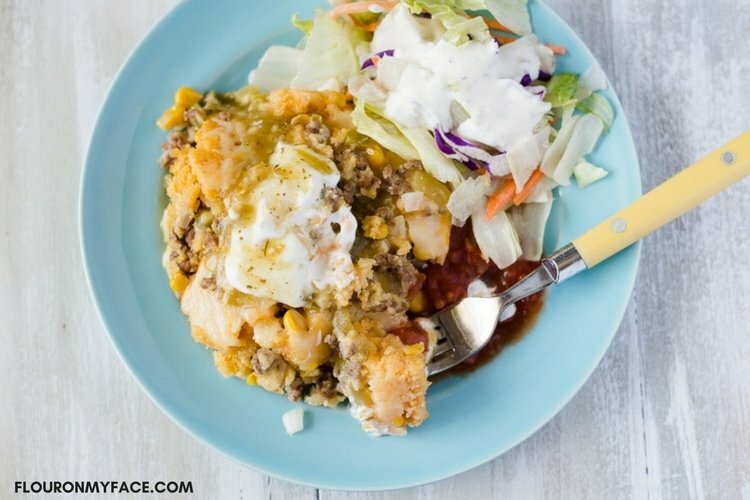 In a bowl mix the cream corn, milk, taco sauce, eggs, oil, and cornmeal until combined. Spray the bottom and sides of a 7-quart crock pot with cooking spray or wipe it down with vegetable oil. Pour half of the cornbread mixture into the crock pot. Spread the cooked ground beef, onions, and garlic on top of the cornbread mixture. Spread the can of chilies over the meat layer. Spread 2 cups of shredded cheese over the chilies layer. Pour the remaining cornbread mixture over the filling. 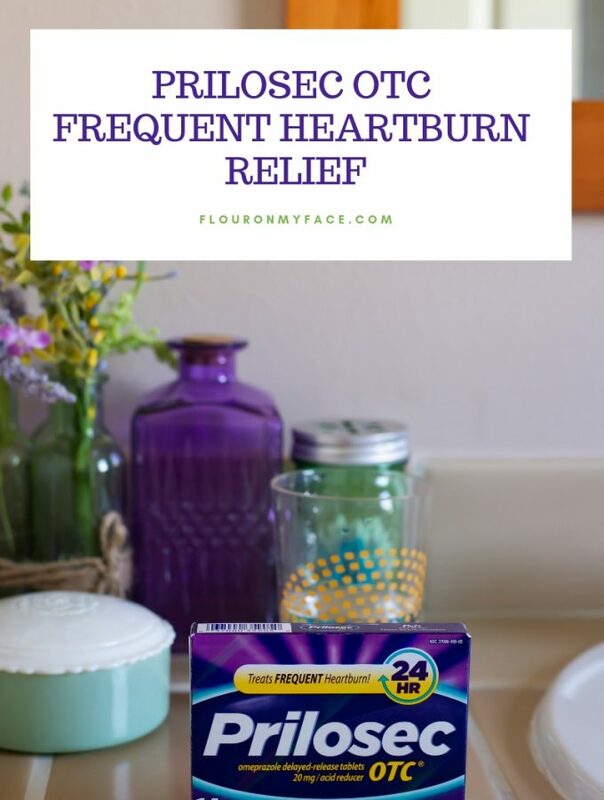 Place a double layer of paper towels across the top of the slow cooker. Place the lid on making sure the paper towels do not touch the top of the casserole batter. Cook on high for 2 1/2 to 3 hours or until the center is cooked through. 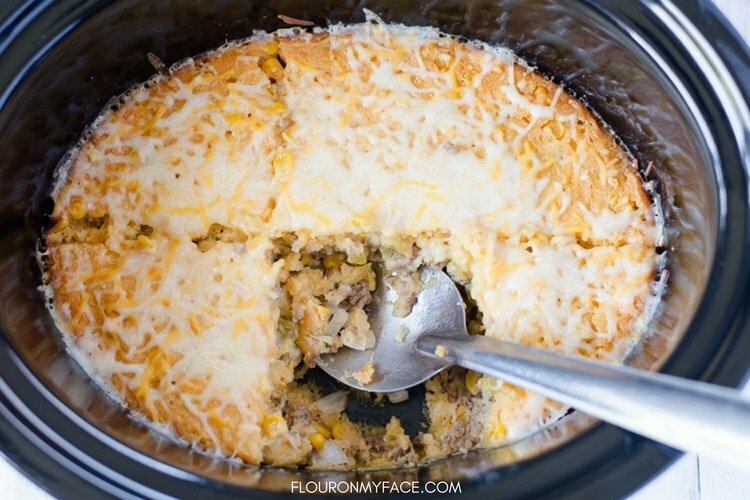 Spread 1 cup of shredded cheese over the top of the casserole 20 minutes before it is will be done cooking. Continue cooking until the cheese is melted on top. Top each serving with sour cream and salsa. Paper towels spread across the top of the crock pot prevents moisture from dripping down onto the top of the cornbread and will keep it from getting moist. It also helps the casserole cook by preventing extra moisture from dripping down into the casserole. 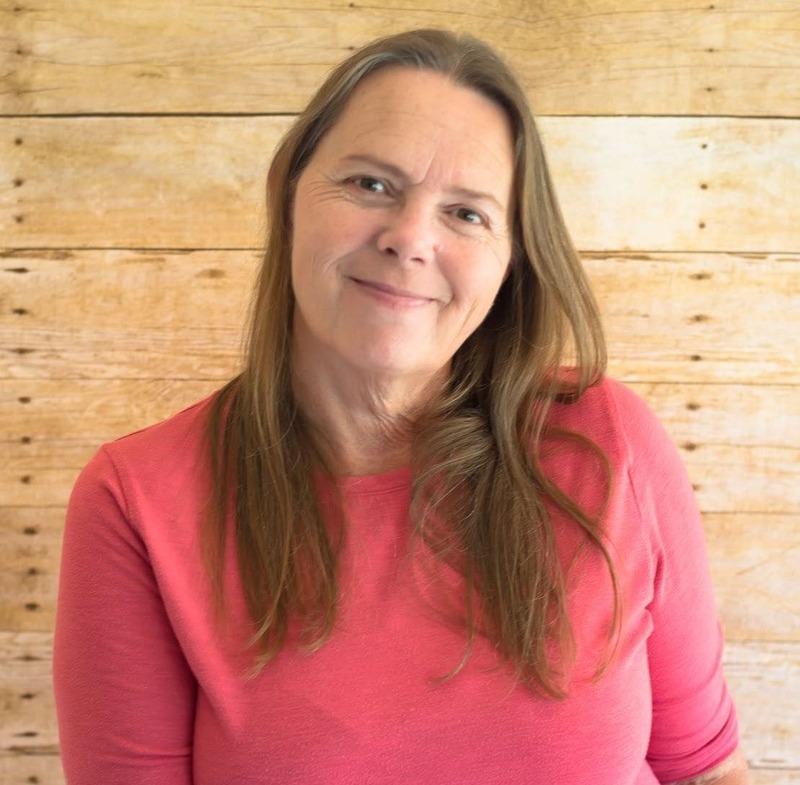 If using a smaller 6-quart crock pot cooking times will be longer. If using the casserole crock pot cooking times may be shorter. 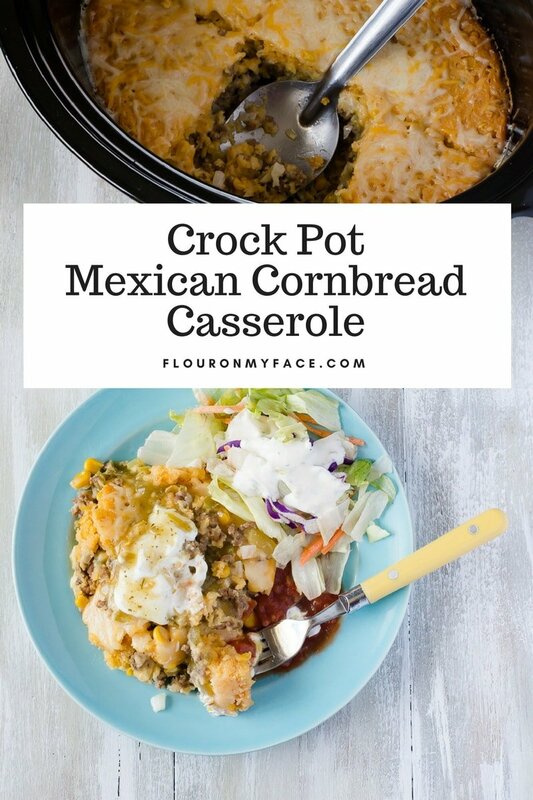 Crock Pot Mexican Cornbread Casserole is a delicious family meal made with layers of Mexican food ingredients. 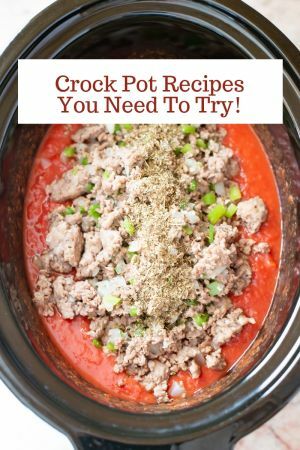 Need a few more crock pot recipes for your meal planning? 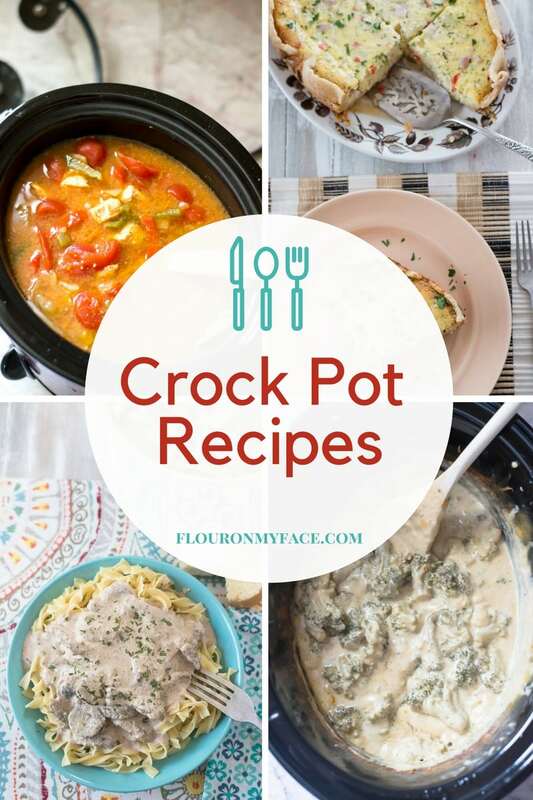 Check out the other 199 Crock Pot recipes on the Flour On My Face Crock Pot Recipe page! This looks so good. 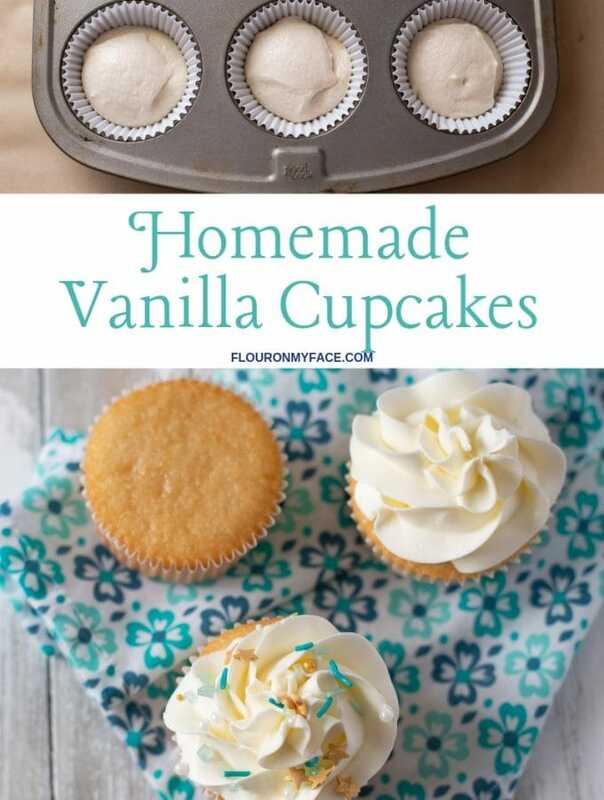 I plan on making one in the crock pot for myself and one for a friend recovering from surgery. 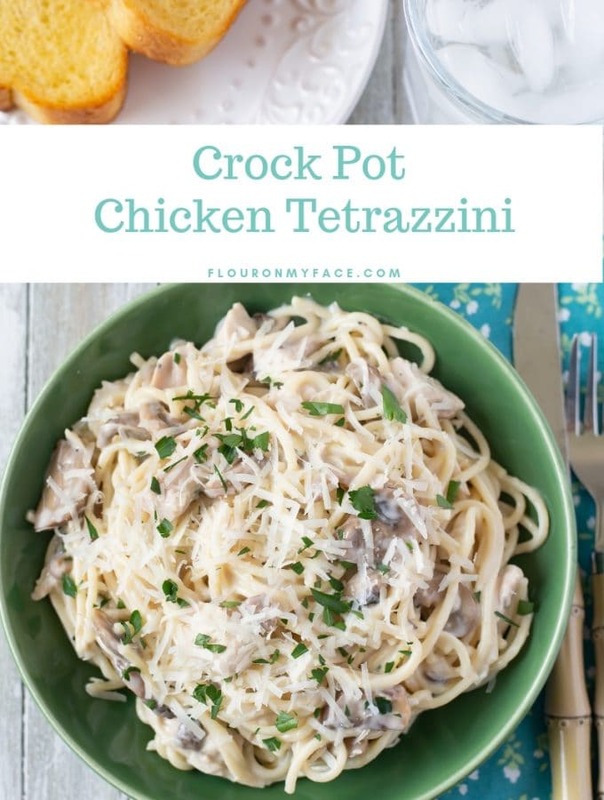 If I wanted to make this in the oven and not crockpot and in the oven instead how long and what temp? If cooking in the oven this casserole recipe would take about 45 minutes to cook depending on the size of the baking dish. A 9 x 13 pan would cook faster than an 8 x 8 baking pan. Bake at 375 and start checking the center around 30 minutes for the smaller pan to make sure the cornbread is cooked through. This looks so great! I have to try it! Pinned and sharing. Thank you for sharing on Merry Monday! Hope to see ya next week! 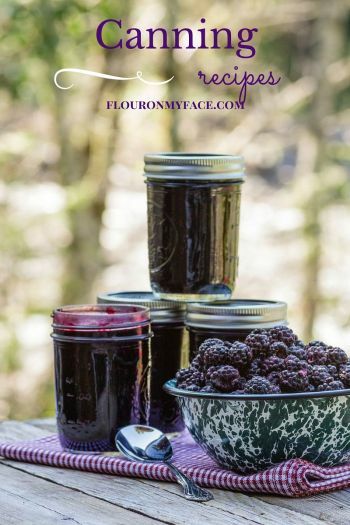 This recipe is Featured at the Merry Monday party this week! Pinned and sharing on FB. We look forward to seeing you at the new party going on now! Thanks for sharing with us.